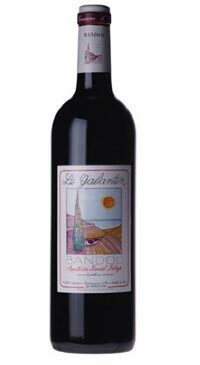 This Bandol rouge is 95% Mourvedre and 5% Grenache grown on clay limestone soil. 80% of the grapes are crushed and destemmed before fermentation in tapered (conical) temperature controlled stainless steel tanks for 20 days before a 22 months ageing period in oak barrels. The wine rests for a further period in bottle before release. Ruby red in the glass with a pronounced nose of sweet spices, cacao and earth. The palate is full with black fruit, spice, minerality and well structured tannins.